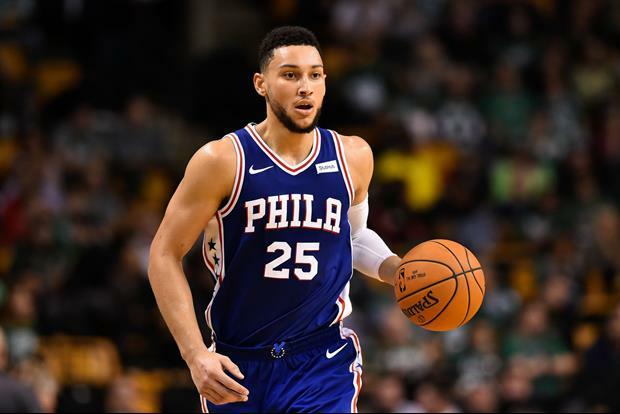 Former LSU basketball player Ben Simmons was named to the 2019 NBA All-Star game this week. This will be Simmons first All-Star Game appearance. Simmons is averaging 16.8 points, 8.1 assists, and 9.5 rebounds this season. He will join his 76ers teammate Joel Embiid in the game. The 76ers are currently 3rd in the NBA East with 34-18 record. The All-Star game will be played on Sunday, February 17 at the Spectrum Center in Charlotte, North Carolina. He went to college because he was forced to. Won’t go down as an LSU great, but Don’t hate on the man. Is doing well. Props, Ben! And honestly, who really gives a shite about college basketball? One of the most talented athletes in LSU history regardless of sport, and one of the nicest people of all time. GREAT GREAT representative of this university. Proud of this man. If he makes a 3 pt in the All-Star game, is his streak considered broken? It was cool when he committed and signed with LSU. Other than that he was a dud. Dude is almost AVERAGING a triple double. Dayum!